LIAS readers should be no stranger to The Morrison Hotel Galleries in NYC as we have covered several of their finer events and gallery openings over the years — such as the Lynn Goldsmith Circle of Friends Exhibit, Jim Marshall/Johnny Cash’s Pocket Cash, and Catch the Beat: Roots of Punk & Hip Hop. 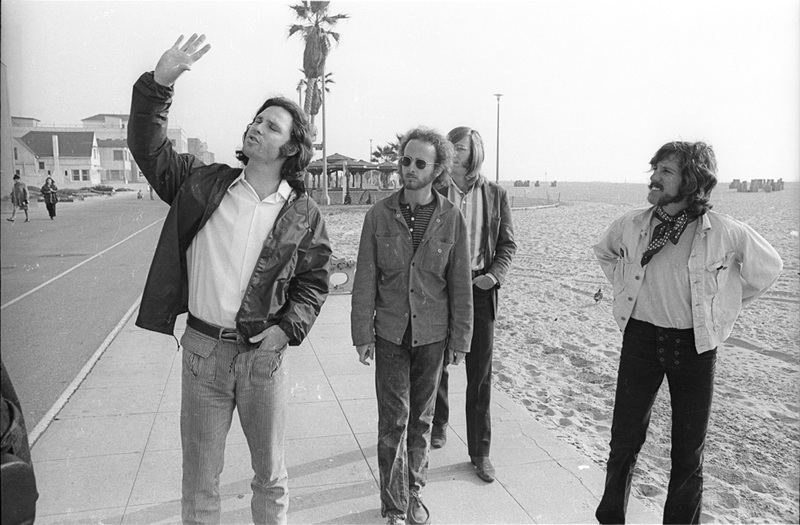 What’s got us clammering this time is that our west coast brothers and sisters get to join in on the fun this week when Morrison Hotel Gallery gets in bed with The Standard Hotel Hollywood to ring in the honors for none other than The Doors themselves during the 3-day 2012 Sunset Strip Music Festival. 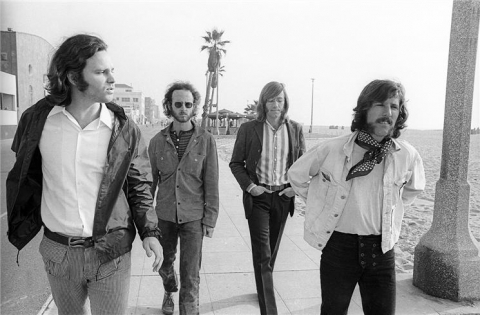 We say its about time considering, in our humble opinions, The Doors more or less put the Sunset Strip on the map in the 60s — be it the Lizard King himself living and drinking barely a block from the strip, or the band providing the perfect soundtrack about “a lucky little lady in the city of light” and “the little girls in their Hollywood bungalows” with “LA Woman”. 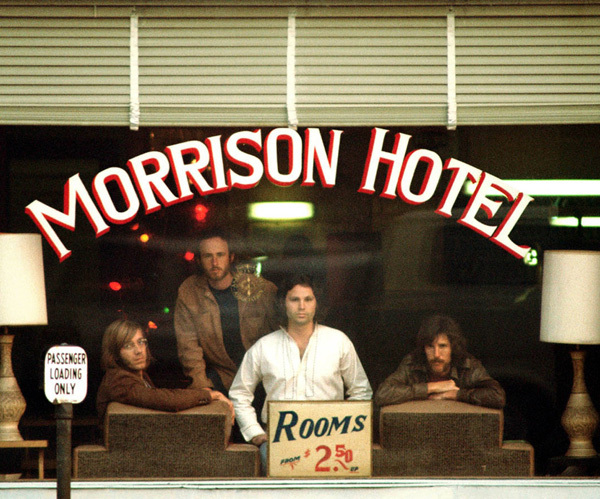 The Morrison Hotel album features some classic Doors hits including “Roadhouse Blues”, “Waiting for the Sun”, and “Peace Frog”, as well as some lesser known album cuts like “Land Ho!”, and “Indian Summer”. 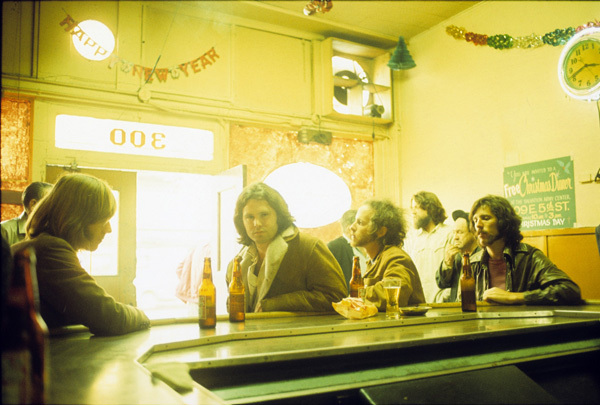 But music aside, the cover of the album stands out due to the photograph of the Doors hanging out at the actual Morrison Hotel at 1246 South Hope Street, where photographer Harry Diltz captured the iconic image — as well as the rest of the amazing collection of rare photos of The Doors in their native Venice Beach and more. 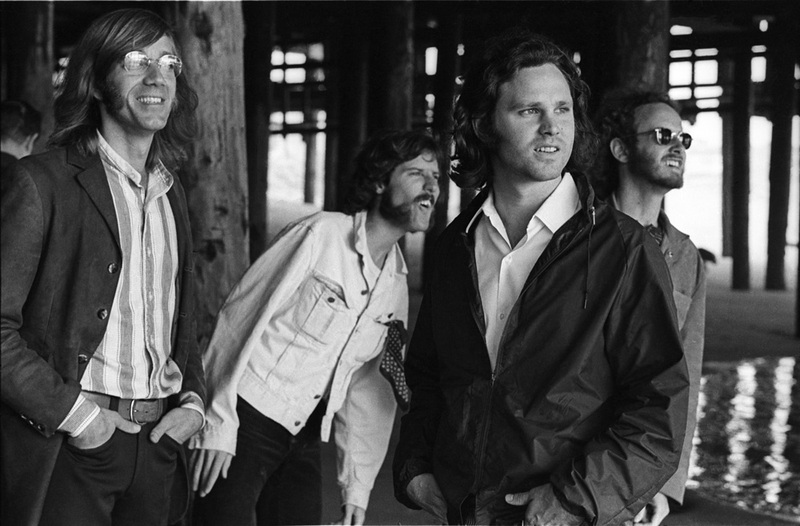 I still remember hearing The Doors for the first time and reading No One Here gets Out Alive, both borrowed from a close family friend while on vacation as a pre-teen growing up on the east coast. The music and the book changed my life, and has forever kept the California Rock n Roll dream alive and screaming in my head. The Exhibition opens tomorrow (Wednesday, August 15th) from 7 – 10 pm at The Standard Hollywood, 8300 Sunset Boulevard. 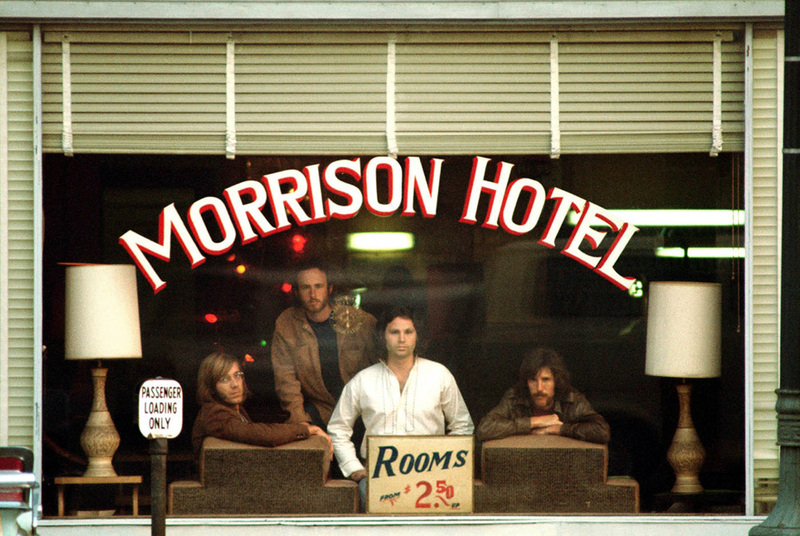 All the photos in this historic exhibition are for sale via Morrison Hotel Gallery.